Replace your dead batteries or stock up for long shoots with the Intelligent Flight Battery for Mavic 2 from DJI. This battery has a 3850mAh and 59.29Wh capacity that delivers enough power for up to 31 minutes of flight time. 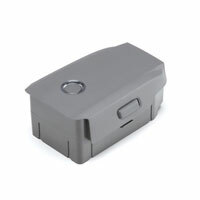 Built into the battery is DJI's Intelligent Battery Management System. This system is designed to monitor battery status and report it in real time.